It takes all of us, working together, to end the sexual abuse of children. Individuals, business and organizations can make a difference. Request Training from Pat’s Place for your school, community of faith, or youth-serving organization. Host a “Lunch and Learn” or “Coffee and Conversation” at your home or office. Organize a toy or snack drive. Participate in Child Abuse Prevention Month activities. Follow, like and share Pat’s Place CAC’s posts on Facebook, Twitter and Instagram. Serve on an underwriting or host committee for one of our special events. Take action to support policies and practices at work or in your community that strengthen families and ensure safe, stable, nurturing environments and relationships for children. Speak out against policies or practices that oppress or objectify women or children, or those that condone or promote violence or aggression. All children need safe, strong, supportive families and communities to help them reach their full potential. During April, and throughout the year, Pat’s Place encourages everyone to become involved in activities that promote protection, reduce risks and increase awareness of child maltreatment and its prevention. The pinwheel has become a symbol of child abuse and neglect prevention and serves as a reflection of the bright futures all children deserve. 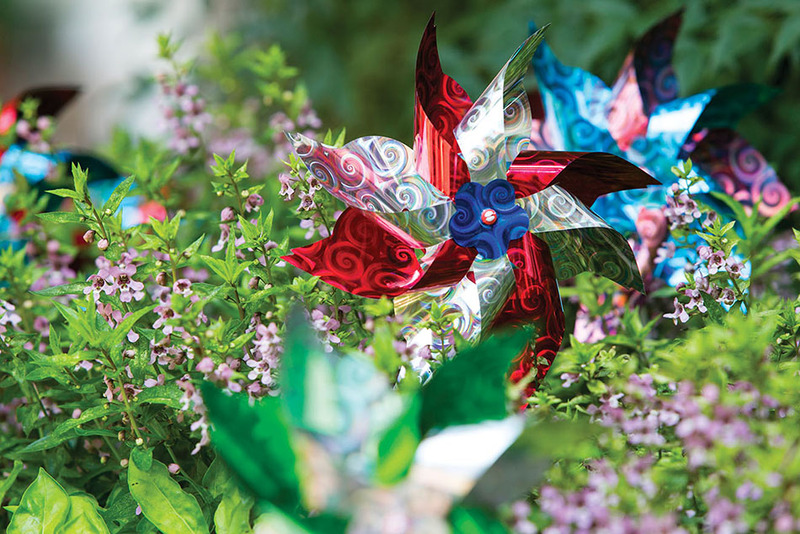 Plant a pinwheel garden or join us as we plant hundreds of pinwheels each spring, representing the children served by Pat’s Place who received support to grow up safe and healthy.